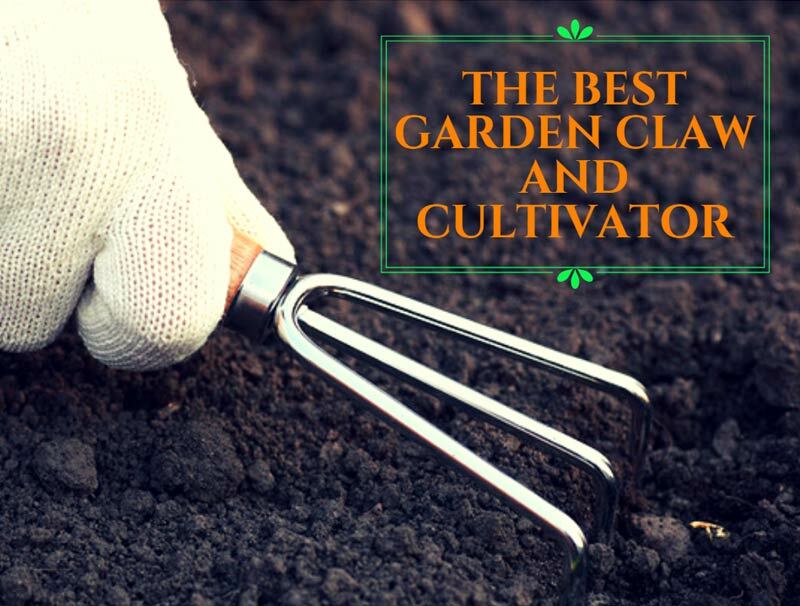 A gardener’s job has a lot to do with seeding, weeding, harvesting, and generally caring for the soil and the plants. And unless all your plants grow in raised beds, you’ll probably have to kneel a lot. Kneeling garden mats can make this part more comfortable, protecting your knees. In fact, the kneeling garden mats are some of the most popular gardening accessories. Although there are other solutions to use, garden mats are easier to carry with you, more compact, and designed specifically for this purpose. If you’re not sure if kneeling garden mats are the best for you, read this article to discover their features and what other options there are available. If you already know that a garden mat is what you need, click on the links below to check out the ones we selected. Kneeling garden mats are designed to protect the gardener’s knees. While carrying on with gardening chores that require kneeling, the garden mats can help you work more comfortably. However, they can be used for other purposes too. For example, you can use a kneeling garden mat for any household chores that require you to kneel, such as cleaning the floors or tiles in your bathroom. Some kneeling garden mats have designs that allow you to use them as squat pads or for other athletic purposes. Kneeling garden mats are also great to use in a playground or nursery. They have just the right size to allow kids to play and sit on them comfortably. Regardless of all the alternative functions, it is clear that the whole purpose of a kneeling garden mat is that of increasing your comfort in the garden. To make an informed decision, here are the other options to consider. Gardening knee pads are similar to the knee pads used for sports. The main advantage of the knee pads is that you’ll wear them. This means you’ll not have to worry about carrying anything in your hands, which might be an advantage in certain circumstances. However, gardening knee pads are often less comfortable than the kneeling garden mats. You’ll also have to try various models to find a perfect fit. A gardening kneeler is a hybrid between a kneeling garden mat and a gardening stool. The height of the seat is usually adjustable and to use it as a garden mat you’ll just have to flip it over. In this way, you’ll obtain a kneeling gardening mat with handles. The main disadvantage is that a garden kneeler is heavier and bulkier than a mat. It can easily become a hassle taking it from one side of the garden to the other. Gardening stools are usually lightweight and foldable stools designed specifically for gardening. Most of the times, they are equipped with tool pockets that help you keep everything at hand. However, you’ll sometimes have to bend to reach the ground. Like the gardening kneelers, gardening stools are harder to move from one side to the other compared to the kneeling garden mats. Thickness: thickness is one of the most things to consider. A garden’s soil is often covered in rocks, while a dry terrain can injure your knees too. To make sure you can kneel comfortably, choose a kneeling garden mat that is thick. In this way, your knees will be protected. Material: most kneeling garden mats are made of EVA foam. This is a great choice, as it is soft and provides an excellent comfort, but keep in mind that the foam deforms over time and you’ll have to replace the mat quite often. If you want a more resistant mat, look for one that is made of rubber. Water resistance: the soil of a garden is almost always moist or damp. If you don’t want to soil your gardening equipment, choose a water resistant or a waterproof kneeling garden mat. Besides keeping your clothes clean, a waterproof mat will also have a longer life. This patent-pending comfortable kneeling garden mat is great for gardening, designed to reduce pain, and ideal for a bunch of other uses. The mat is designed to offer a perfect balance between stiffness and comfort, providing you with the support your body needs to keep you steady. The garden mat is made of high-density foam with a thickness of 1,5 inches, which is thicker than many other options available on the market. Moreover, it is designed to accommodate your knees comfortably, having a dimension of 18x11 inches. The kneeling mat is multifunctional and it can be used for gardening, exercising and yoga, camping, and much more. The material is water resistant and you will always be able to kneel on a dry and clean mat. Regarding the portability, the mat is lightweight and it has a built-in handle. It is easy to carry it wherever you need. Comfort: this kneeling garden mat is thick and comfortable, designed to provide you with ultimate balance and knee protection. Multifunctional: you can use this garden mat for much more than gardening. Yoga, exercising, camping, are just some of the activities you can use the mat for. Material: the mat is made of high-density foam and it is water resistant. Moreover, the mat is lightweight and easy to carry. Guaranteed: the mat is 100% guaranteed and you can return it and ask for a refund if you don’t like it. If you like it, the mat has a limited 1-year warranty. This mat is really stiff and some gardeners might find it too hard. TOUA is proposing a similar model of kneeling garden mat made of high-density EVA foam that is non-recycled and non-toxic. Similar to the mat described above, this one has a thickness of a 1,5 inches and a size of 18x11 inches. The garden mat is ideal for a wide range of chores, beginning with gardening and ending with exercising. Regardless of the use, the mat is designed to provide an ultimate knee protection and comfort. The mat is convenient, lightweight and portable. It is easy to carry it thanks to the built-in handle and easy to clean thanks to the waterproof material. The garden mat is designed to dry quickly and to withstand heavy weights. It also comes with 90 days no-questions-asked money back guarantee and a 12-months warranty in case you decide to keep it. Color: this kneeling garden mat is blue and easy to spot in the garden. The color is also relaxing if you decide to use it for yoga. Options: you can choose between two purchase options and decide whether you want only the mat or the mat and a pair of convenient garden genie gloves. Durable: this kneeling garden mat is made to last. The foam is designed to keep its shape for a long time and to withstand heavy loads. Easy to clean: the waterproof material is easy to clean with a garden hose. If not extremely dirty, just wipe it with a damp cloth. The mat could really benefit from a bit more cushioning. 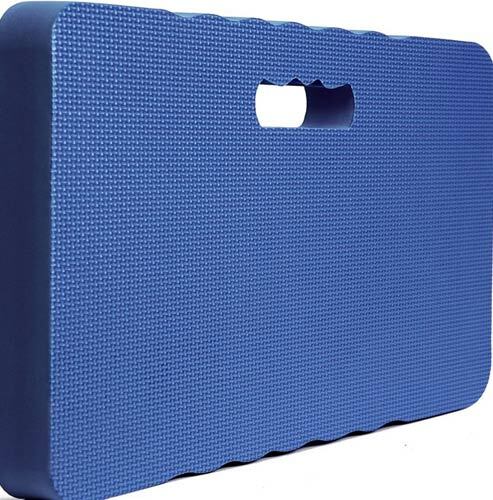 The Kneeling Pad by Ezi is a durable and ergonomic kneeling garden mat designed to protect your knees in any situation. The mat is firm and stable, and it boasts an anti-slip surface that is easy to clean with minimal water absorption and effort. This garden mat is ideal for many outdoor and indoor applications. It is great for gardening, to use as a baby bath mat, or for other household chores. Moreover, the mat also transforms into a comfy cushion to use for picnics, concerts, or other outdoor events. The mat is made of 1,6 inches thick high-density foam and designed to shield your knees from any hard, rough or uneven surfaces. the high-quality materials and construction ensure performance and longevity in a product designed to not disappoint. The mat comes in a pack of two, which includes a blue and a black kneeling garden mat. You’ll always have a spare garden pad at hand, or you can use them together with your partner. Two-pack: this set of two gardening mats is ideal for multiple uses. It is also a more accessible solution compared to making multiple single purchases. Thickness: with its 1,6 inches of thickness, this gardening mat is one of the thickest on the market. It is designed to provide superior protection. Durability: this gardening mat is made to last. It is made of durable high-density foam, stiff enough to resist for a long time. Quality: thanks to the high-quality materials, this garden mat ensures performance and longevity. This kneeling garden mat could also benefit from a little more cushioning. Less thick compared to the models above but with a cushioning that makes it really comfy, this kneeling garden mat can serve multiple purposes. It is ideal to use for gardening, but also as a nursery mat, for baby bathing, or for exercising and yoga activities. The mat, although thinner than its competitors, provides an excellent protection on all terrains, including on gravel, stone, wet grass, tiles, concrete, and hard floors. With its excellent cushioning, Cushy is able to protect your knees from all hard surfaces. The mat is available in three different colors, which are stylish and attractive. Either purple, blue, or green, this kneeling mat is designed to stand out in the garden. Another thing we like is the lifetime happy shopper guarantee. If you don’t like Cushy anymore, just send it back and ask for a full refund. Multipurpose: this kneeling garden mat can be used for many purposes beyond gardening. You can use it for exercising or as a baby mat in the nursery or bathtub. Comfy: this mat is really comfortable despite its thickness. In detail, it has a thickness of one inch. Size: this mat is larger than average. It measures 19x10 inches, providing a roomy protection to your knees. Bonus: the product comes with a lifetime guarantee and with a guidebook explaining how to work around the house without pain and injury. The mat is rather expensive. This premium pad is a comfortable kneeling garden mat ideal for gardening and designed to reduce pain. The mat is designed to offer a perfect balance between stiffness and comfort, providing you with the support your body needs to keep you steady. This garden mat is ideal for many outdoor and indoor applications. It is great for gardening, to use as a baby bath mat, or for other household chores, such as cleaning and scrubbing the floors. Moreover, the mat also transforms into a comfy cushion to use for outdoor events or for picnics. Sorbus Kneeling Mat is also convenient, lightweight and portable. It is easy to carry and it comes with a built-in handle. The mat is also easy to clean thanks to the waterproof material. It dries out quickly and it also withstands heavy weights. The mat is available in different colors, and you can choose between black and teal. Colors: this kneeling garden mat is available in teal and black, and is easy to spot in the garden. The teal color is also relaxing if you decide to use it for yoga. Like many kneeling garden mats on the market, this one could use more cushioning. In my opinion, the RED Home Club Thick Kneeling Pad is probably the best kneeling garden mat on the market. Its patent-pending structure makes it one of the most reliable and comfortable mats. 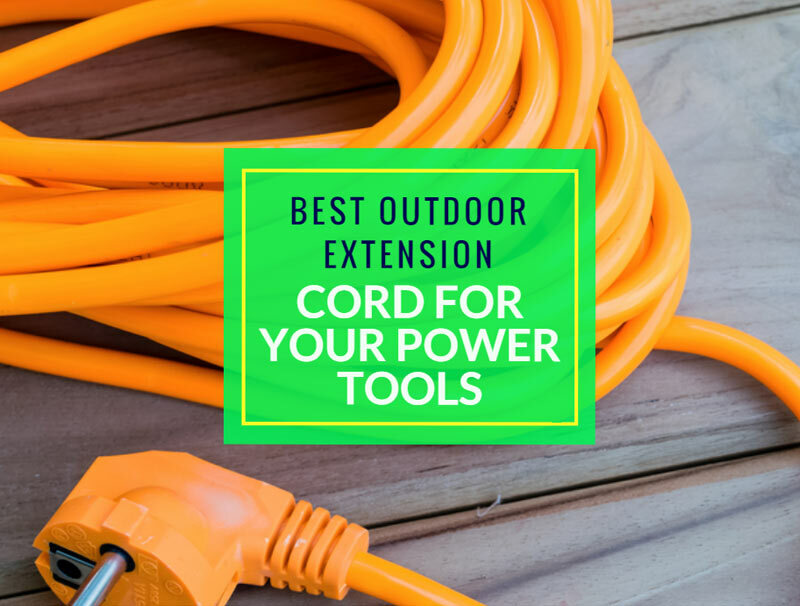 It is great for gardening but also for many other chores and activities. Made of 1,5 inches thick high-density foam, the mat is not one of the thickest, but it is thick enough to keep your knees away from hard surfaces. Thanks to its size, it will also provide you with enough room to kneel comfortably. The mat comes with a satisfaction guarantee, a 12-month warranty in case you like it and is available in multiple colors. Just choose your favorite and give it a try.